In the MSPI program students have access to both in-house developed tools and methods as well as externally developed resources, all available for researchers and students that we collaborate with. We use these methods and tools in our daily education and research work. 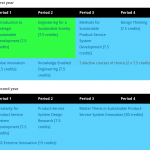 In the product-service innovation perspective, the work is often carried out in cross-functional teams, where the participants have different skills necessary for the task at hand. 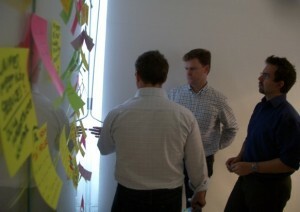 To develop an innovative solution for a need and function, the team has to “think together”, i.e. build on each others ideas and use the accumulated knowledge of the team. We call these teams for “Tiger Teams” and in order to ease the process of supporting the teams we have developed methods to facilitate creative meetings for innovation in cross-functional teams. 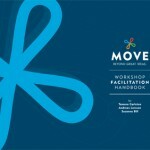 The MOVE framework is designed to help you plan an effective internal workshop to address the innovation capabilities within your group or company. 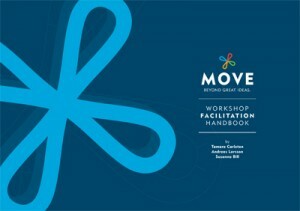 MOVE is based on four dimensions of team innovation: Make, Observe, Visualize, and Engage. We talk about dimensions rather than phases because innovation is not a linear process. Use elements of each dimension depending on your specific needs and objectives. Don’t forget to iterate and share your evolving ideas with others in your innovation network, which will help you move your big ideas forward. 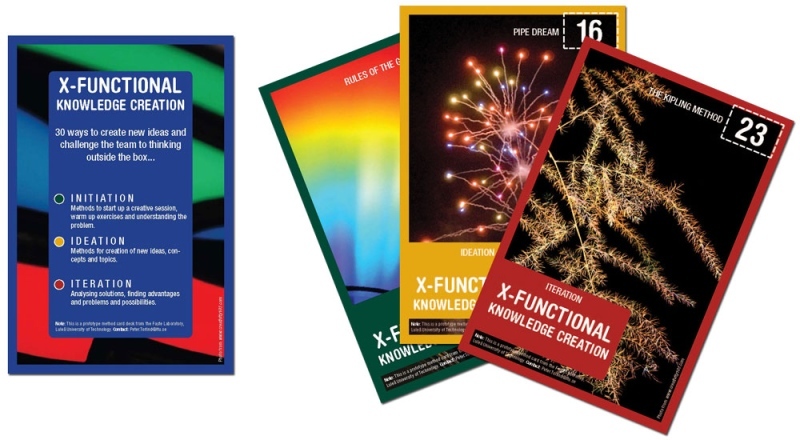 To ease the facilitation of theses “Tiger Teams”, we have developed 60 method cards; X functional knowledge creation. 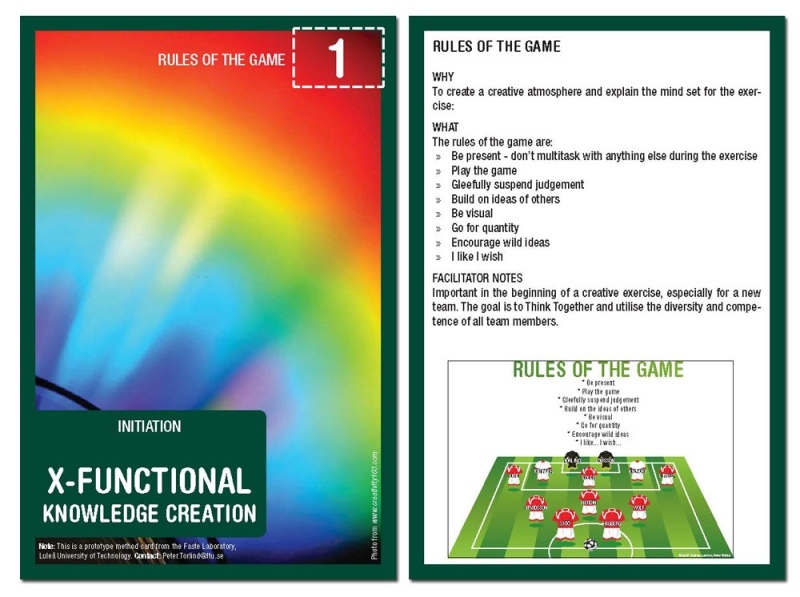 The cards have three main areas “Introduction”, “Ideation” and “”Iteration”. Introduction – is an introduction and warm-up the team so they get into the right mood. The methods prepares the team and also acts as warm-up. 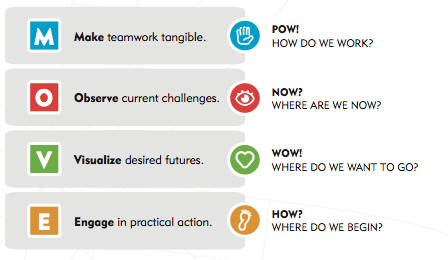 Ideation – is the phase where the solution space expands, here all new ideas are welcome. The method cards contains methods for brainstorming and creative thinking. Iteration – here we evaluate the ideas that have sprung out from the work, to find pros and cons. True to its name, the Tiger Team  approach is a powerful way of composing a special, multidisciplinary task force to rapidly solve a problem. The tiger teams aim to reach true collaboration, where diversity and competences of the whole team can be utilized and where team members can think together by using fragments of other’s ideas, gestures and drawings to create new ideas rather then merely exchange information or opinions and divide work. The Tiger Team approach introduces a new way of working where academia and industry focus on jointly solving a specific research problem in a rapid response environment by refer to, for example, running an industry demonstrator together. A movie (Sneakers) in 1992 made the term ‘tiger team’ known in the context of hackers breaking through computer security, not with the intention to steal data, but to highlight weaknesses of the computer system . To make the system owner aware of the trespass, the hackers left evidence of their activities, a note, a message etc. Eventually, tiger teams were hired by organizations to check up the computer security, so tiger teams are also hackers that provide data-penetration services (ibid.). 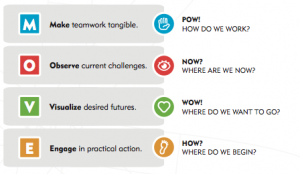 The group process of a tiger team in these services might be similar to what we are aiming for; however, the purpose to apply a Tiger Team approach is completely different. Another application of a namesake to tiger teams which relates to the idea of a specialized group performing a specific task is Cheetah teams . The task for a Cheetah team is to solve unexpected problems that are threatening to delay or disturb a running project. A Cheetah team consists of a few selected people separate from the product development team (ibid.). The Cheetah team takes out the problem from the ordinary activities, thus they can focus their efforts on solving the problem and, by the same token, avoid disruptions in the running product development project (ibid.). Some factors that characterize a Cheetah team are that the team is always ad hoc, initiated for a specific mission and is dissolved when it has solved the problem (ibid.). The inspiration for our Tiger Team approach stems from a context of concurrent engineering, i.e., The Dapra Initiative on Concurrent Engineering . The approach was seeking to “…stimulate small-team interactions among people in large, dispersed organizations.”(ibid., p.26). The aim was to enable similar freedom of interaction and information exchange among these people as in a small team working in the same room (ibid.). The structure in this way of working emphasized instant communication with each other, accessing, sharing and storing up-to-date information in a transparent way (ibid.). A tiger team is “… distinguished by both a high level of coordination and a deep interpersonal dialog among the members.” . It is important that the members of a tiger team feel free to say what they think and that every member participates in a committed way. The physical place for a tiger team is, in some cases, suggested to be an informal living room, since such environment works better than a traditional conference room (ibid.). Tiger teams are not work groups. Information exchange and coordination are typical activities for a work group, e.g., a traditional staff meeting . A tiger team meeting is different from informative meetings. To be productive, such meetings insist on also facilitating a social process. Working in a Tiger Team: The selection of participants in interdisciplinary tiger team groups is important. A tiger team must include people providing ownership and motivation to accomplish results, as well as providing integration of a diverse set of outside expertise to the mainstream project team Pavlak]. To be able to make all participants’ available information and knowledge explicit, all members must be given the opportunity to speak in meetings. The restricted air time must not be consumed by a few people . Therefore, creating a climate for rich dialogues are critical. A problematic situation is that people holding different competences and interests also speak different languages . Certain ground rules are suggested to provide team building, for example, listen for newness, staying loose until rigorous conditions count, questioning for understanding only . Creativity is part of the Tiger Team work. Purposeful leadership is an essential part of effective tiger teams; one reason that these teams are rare is that the leadership style is difficult to implement (ibid.). In a tiger team, both content and process has to be managed; this requires a split leadership (ibid.). Steffora, A., Creek., M. (1994). Hacking goes legit. Industry Week, 28 (3), 43-45. Engwall, M., Svensson, C. (2001). Cheetah teams. Harvard Business Review, 79 (2), 20-21. Reddy, R., Wood, R.T., Cleetus, K.J., (1991). The Dapra Initiative: encouraging new industrial practises. IEEE Spectrum, July, 26-30. Pavlak, A. (2004). 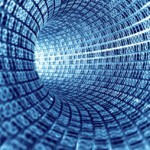 Project troubleshooting: tiger teams for reactive risk management. Project Management Journal, 35 (4), 5-14. Ottenheijm, S. van Genuchten, M., Geurts, J. (1998). What’s the problem? In Proceedings of the 31th Hawaii International Conference on Systems Science, IEEE, January, 555-565. Bucciarelli, L.L. (2002). Between thought and object in engineering design. Design Studies, 23 (3), 219-231.